According to an article in the MetroWest Daily News, a German au pair who has been charged with assaulting the three year old boy that she cared for has filed a criminal complaint against the child’s father. The au pair was reportedly caught on camera shoving the boy to the floor. 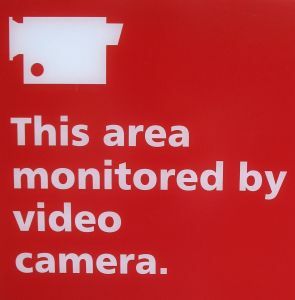 The camera recorded both audio and video footage and it appears that the defendant was unaware that any sort of recording device had been put in place to monitor her. The article indicates that the child’s father had had some concerns regarding the care that the defendant was providing. He then set up a “nanny cam” to record her activity within the home. The appearance of the recording device is not entirely clear – the article does not indicate whether the camera was in plain view and/or whether it was obviously a recording device. Regardless of the appearance of the device, however, it is undisputed that the father did not tell the defendant about the camera and/or that it was recording both audio and visual surveillance. After installing the device, the father apparently watched the footage and observed the incident in which the defendant appears to have shoved the child. Specifically, the video reportedly shows the boy in a living area of the home. the defendant can be heard off camera telling the child to take off his clothes and put his pajamas on so that he can go to bed. Several minutes later, the defendant reportedly enters the room and knocks the child to the floor. He immediately begins crying. the defendant then appears to leave the room but comes back shortly thereafter, sits on the floor with the boy, and tries to comfort him. Under G. L. c. 272, § 99, it is a crime to record a person’s voice without obtaining his or her permission. As a result, the defendant applied for a criminal complaint against the father, accusing him of violating the wiretapping statute. The defendant’s lawyer is also seeking to have the video excluded from evidence at the trial. Generally, evidence is only subject to suppression where there is some sort of police action that resulted in a violation of the defendant’s rights. Since the father is a private citizen, it is questionable as to whether his conduct could be the basis for suppression of the videotape. That said, however, there are certain discrete circumstances in which the violation does not have to be committed by the police in order for a defendant to raise an argument for suppression of the evidence. Whether the facts of this case fall under one of those exceptions to the general rule remains to be seen. Regardless of whether the defendant prevails on the suppression argument, however, there do appear to be other issues with the case. Specifically, any admission by the defendant that he set up this video camera and obtained the audio recording without the defendant’s permission would be incriminating. Therefore, the father’s potentially criminal conduct may present other challenges to the prosecution’s case, particularly in relation to the Commonwealth’s ability to present the father as a witness, and in relation to the authenticity and chain of custody of the video. Given the somewhat complicated nature of the argument, the defendant will need a skilled attorney who is well versed in the law and the various evidentiary challenges that can and should be raised in the case. If you or a loved one has likewise been charged in a criminal case where the alleged victim appears to have committed some crime of his or her own, you will also be in need of an experienced attorney. Daniel Cappetta is such an attorney and has been successfully representing clients for many years. Put his expertise to use and call today for a free consultation.